Kazhmere’s sound is infectious with his soul-satisfying lyrical hooks interlaced with his rhythmically pleasing darker tones. Combined with his raw talent on the guitar, Kazhmere makes for an unseen package deal demonstrated on his newest album. The pensive Kazhmere may not be a man of many words, but that doesn’t hold the gifted artist back from communicating his voice through his music. Kazhmere’s sound is infectious with his soul-satisfying lyrical hooks interlaced with his rhythmically pleasing darker tones. Combined with his raw talent on the guitar, Kazhmere makes for an unseen package deal, we haven’t seen recently in this industry. While perhaps best known for his local recognition as winner of Supernova, as well as his radio play on 99.3 The Fox. 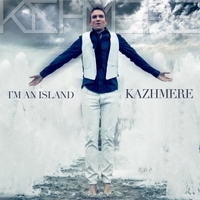 Kazhmere continues to gain momentum and has earned the respect in the industry on a national level. After releasing four albums independently, AMP Records jumped at the opportunity to sign the rising Vancouver artist to release his fifth album.